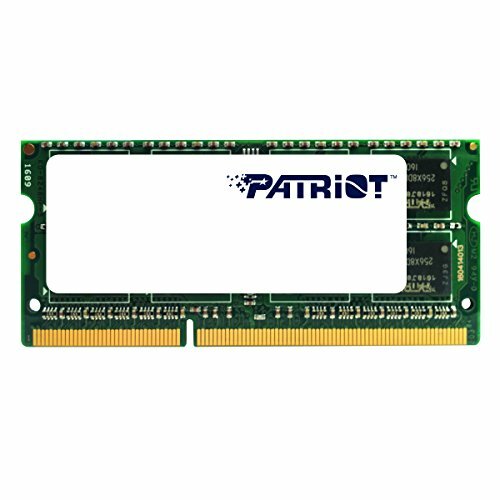 Patriot’s Memory for Ultra book SODIMM modules are the perfect, no hassle upgrade for any Ultra book class notebook. Compatible with Intel’s 3rd generation mobile processors and running at just 1.35 volts, these SODIMM modules are optimized for ultra low power consumption providing extremely efficient performance. Patriot’s Memory for Ultra book is built from the highest quality, components and hand tested offering consumers rock-solid plug and play performance for the most demanding mobile applications. Compatible with Windows 7, Windows Vista, Windows XP, Windows 2000, Windows ME, Linux 2.4 and later, Mac OS 9, X and later, Patriot’s Memory for Ultra book modules are backed by a limited lifetime warranty and Patriot Memory’s award winning customer support.